Since settling in Glasgow in 1980, Gusztáv Fenyő has been one of Scotland’s leading musicians. He is well-known for his cycles of works by one composer, including Beethoven’s 32 Sonatas, which he performed in both Glasgow and Edinburgh. In 1999, to mark the 150th anniversary of the composer’s death, he performed the complete solo piano works of Chopin in Glasgow, opposite the venue where Chopin himself played in 1848. In 2006 he gave the first complete Glasgow performance of Shostakovich’s 24 Preludes & Fugues at the refurbished City Halls, in celebration of the composer’s centenary. Related to the great Hungarian violinist, Joseph Joachim, Gusztáv Fenyő first came into prominence as a teenager when he won the Australian Broadcasting Commission’s annual concerto competition playing Liszt’s E flat concerto. Following a period of study in London with Schnabel’s disciple, Maria Curcio, he continued his studies under Pál Kadosa and Vilmos Tátrai at the Liszt Academy in Budapest, during which time he gave numerous Hungarian premières by composers such as Stockhausen, Boulez, Xenakis, Cage and Takemitsu, as well as having many works written for him. At his London début at the Wigmore Hall in 1978, Gusztáv Fenyő premièred some of the ‘Games’ by the then barely-known Hungarian composer György Kurtág. He has also premièred works at other London venues, such as the Institute for Contemporary Arts, St John’s Smith Square and the Cadogan Hall, including works by Goeyvaerts, Vidovszky, Volans and Beat. Gusztáv Fenyő has played a comprehensive solo, chamber and concerto repertoire, from Bach to the present day, in three continents. He has played nearly forty concertos, from Mozart and Beethoven to Bartók and Prokofiev: orchestras have included the Philharmonia (London), BBC Scottish, Hungarian Radio & Television, Bucharest Philharmonic, and the Sydney and Melbourne Symphony Orchestras, under conductors such as Frémaux, Osawa, Iwaki and Fürst. He has performed almost the entire chamber music repertoire: his regular partner has been violinist Susanne Stanzeleit, with whom he recorded Bartók’s complete works for violin and piano, including ‘Contrasts’ with Michael Collins, for ASV. Other chamber music partners have included Alexander Janiczek, Jack Liebeck, Ildikó Line, James Boyd, Roger Chase, Adrian Brendel, Raphael Wallfisch, Andrew Fuller, Gervase de Peyer, Zoltán Kocsis, Balázs Szokolay, Geraldine McGreevy and Jane Irwin. He has also accompanied a wide operatic repertoire and was repetiteur at The Australian Opera where he worked with Dame Joan Sutherland, Dame Kiri te Kanawa and many others. From 1980 to 1992 Gusztáv Fenyő was Lecturer of Piano at the Royal Scottish Academy of Music and Drama. He has also taught and performed at leading institutions and summer schools in the UK, Hungary, Slovakia, Australia, Mexico and USA, working alongside such distinguished teachers as Vesselin Paraschkevov and Felix Andrievsky. In 1995 he inaugurated the Scottish Borders’ summer chamber music festival which, since 1998, has been held at Paxton House, a partner-gallery of the National Galleries of Scotland; in 2008 he directed a new venture at Haddo House in the north-east of Scotland. 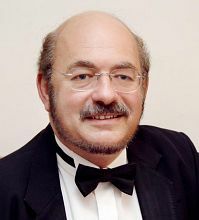 Gusztáv Fenyő has broadcast for the BBC, Australian Broadcasting Commission and Hungarian Radio, and his commercial recordings include works by Mozart, Beethoven, Chopin, Liszt, Bartók, Delius, Goossens, Stanford, Dunhill, Bantock and Gyula Csapó.
" ...a pianist of world class... due to his intelligent understanding of the meaning and direction of whatever he plays. " " ...Fenyő's playing... has a quiet but firm presence, and even sounds rather like Bartók's own - rounded, spontaneous, secure and un-aggressive. " " Mr Fenyő has, indeed, the kind of musical charisma that seems to sharpen the listener's powers of concentration, rewarding them with a satisfied feeling of musical inevitability. "